Yannick Noah is quite simply a great tennis player. His style on the court combined flair with elegance, and to many his legacy is as much about that sense of style as it was about the 26 tournaments that he won during his playing career. Through his career Yannick was synonymous with the French brand (and great friends of I Dig Your Sole Man) Le Coq Sportif, and together they brought a cutting edge to the court that crossed over into streetwear. Chic yet bold, the pairing of Yannick and LCS is timeless and perfect for celebration in the modern age, and that’s why the winning pair of LCS and Yannick have teamed up to create the super limited ‘Yannick Noah x Le Coq Sportif Comp Palermo’ shoe. Only 26 pairs of these super limited (one pair for each of Yannick’s tournament wins) shoes have been created, with each offering that classic fusion of classy LCS design fused with some of Yannick’s character…although he seems reluctant to reveal all about the intriguing inspiration behind this (read on for more info). All up though, these shoes are super exclusive and I’m honoured to have both been sent a pair by Le Coq from their Paris HQ, and also to accompany the shoe I’m equally honoured to have been given the chance to interview Yannick, as the sporting great (and now musician and Le Coq Sportif ambassador) was kind enough to rally around some questions in the latest IDYSM ‘In Their Shoes’ interview. IDYSM: Hey Yannick, thanks so much for taking the time to be a part of the ‘In Their Shoes’ interview series. Where are you and what are you up to as we do this interview? YANNICK: I am in Rabat (Morocco) for 2 concerts with my band. IDYSM: Le coq sportif have sponsored you since the start of your illustrious career, how did the relationship come about? YANNICK: My initial contract was negotiated with Le Coq Sportif by my agent Donald Dell as I was 18 years old and had won my very first tournament in Manilla, both remained with me during my whole career. IDYSM: Both you as a player and Le Coq Sportif as a brand are known for a renowned sense of style, what do you think makes you work so well together? YANNICK: We know each other very well! IDYSM: What do you think defined your unique sense of fashion style on the court when you played? IDYSM: What was the inspiration behind what you wore on the court, and how involved were you in the design? YANNICK: I was very much involved. The person working on my design at that time was Frederic Raget and we knew each other well. He knew I wanted to be elegant. Le coq sportif style is about elegance. Have you seen how elegant Richard Gasquet is on court this year compared to the others? IDYSM: That style had a huge crossover from the court into streetwear, how did it feel to see your outfits having such an influence outside of tennis too? YANNICK: It felt great! I see Le coq sportif shoes everywhere! IDYSM: How excited are you to see Le coq sportif celebrating this with the Limited Edition Yannick Noah Event pack? YANNICK: I feel sincerely honoured. IDYSM: How did this collaboration come about? YANNICK: It is a common idea we wanted to tell and it will be a real story with different episodes each year. IDYSM: What was your involvement in the design of the pack and what’s the concept behind it? YANNICK: It all started with a funny story I told the guys at Le Coq Sportif that happened to me during my very last tournament in Palermo in 1991. This is the reason why it is the subject of this first episode. IDYSM: The pack seems to capture the colour and flair you represented as a player, but which elements and features are your favourite? YANNICK: This shoe tells the story of Palermo tournament itself. The model we have chosen is my favourite. However, the features are a tribute to Palermo’s iconic architecture and city colors. The sole color refers to clay pitch, specificity of Palermo as well as my favourite ground to play. 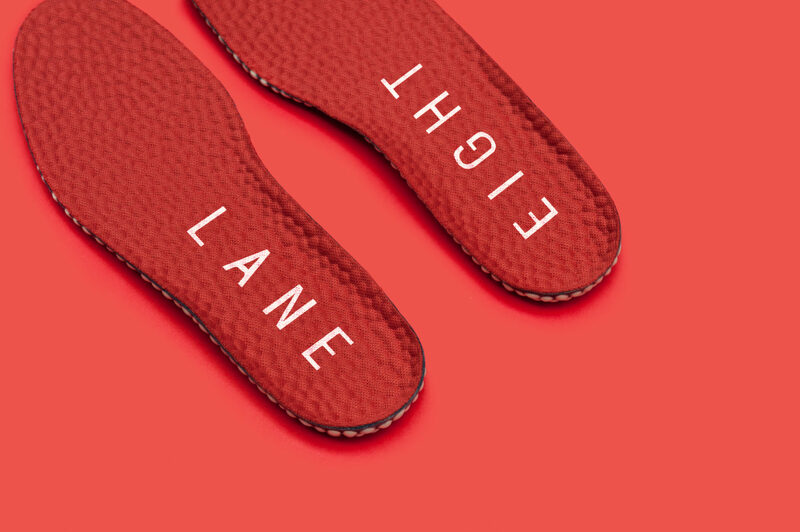 The insole was printed with a “soap bubble” pattern, which is a nod to my “experience” there. IDYSM: What does the rest of 2015 have in store for you, and will we continue to see you working with Le Coq Sportif? IDYSM: It’s time for the signature question that ends all ‘In Their Shoes’ interviews…what’s on your feet right now? YANNICK: A pair of Arthur Ashe.